Amazon today announced Prime Reading, a new benefit for subscribers of Amazon Prime that provides a selection of free books, magazines, and comics each month. 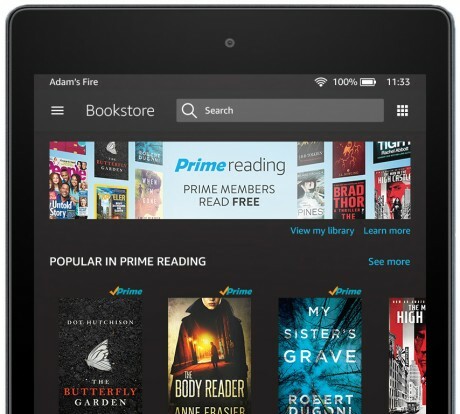 Amazon says Prime Reading includes access to more than one thousand popular books, the latest magazines, and exclusive short content all presented within the Kindle app. Prime Reading is available to iPhones, iPads, Android phones, and Android tablets, as well as Amazon's own Fire and Kindle devices. Prime Reading is free to existing Prime subscribers, who already have access to Prime Video, Prime Music, Prime Photos, Audible Channels, and free/expedited shipping. Those who don't already subscribe to Prime can take Prime Reading for a 30-day trial. The new Apple Books reading app is now available to iPhones and iPads in the iTunes App Store. This app replaces the former iBooks app and is what iOS users will use moving forward for consuming books and other materials. Google today released three photography "appsperiments" that are meant to be fun ways to use your smartphone's camera. The new apps "rely on object recognition, person segmentation, stylization algorithms, efficient image encoding and decoding technologies" to create interesting and unique experiences.